Holland has a long history and much of it can still be enjoyed. Between 1600 and 1700 Holland had its Golden century. At that short time Holland ruled the known world. Most of the historic inner cities in Holland are of that century. Painters like Rembrandt and Frans Hals had their glory time and left the paintings to the world. If you like to go further back in time, you can visit the Muiderslot-Amsterdam castle. 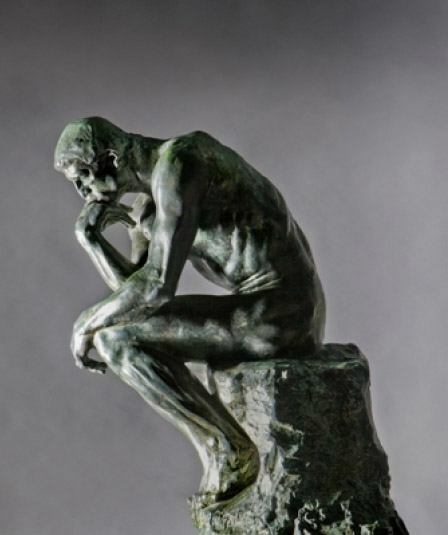 If you prefere more contemporary art and culture, there are numerous other museums and locations to enjoy. Surprise yourself with so much history and culture. There is so much to enjoy. 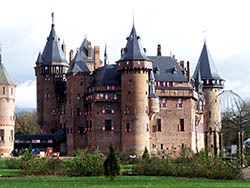 Holland has a rich history and you can see that best from its castles and palaces. Most of them are now museums, for you to enjoy. From an original fortress castle, fairy tail castles up to the former Queens' palace. You will be surprised by the heritage these castles offer. Amsterdam is home to a variety of world-famous museums. No trip to the city is complete without stopping by the Rijksmuseum, Van Gogh Museum or Stedelijk Museum. Beside these three, there are many special museums you would not expect, like the Anne Frank and the Hermitage. Outside Amsterdam there are many other special museums, like the railway museum in Utrecht, the Airplane museum, etc, etc. No need to be bored, you enjoy enjoy culture and history in many aspects. The old fortress village of Naarden is, as a whole, worth seeing. The time stood still and you can still imagine the French outside the fortress walls. And maybe you didn't know, but the 4 inner canals of Amsterdam with its beautiful houses are Unesco protected. At the peninsula of Marken you walk around like you are in 1900. All wooden fishermans houses are still in authentic Dutch style. When is your time to enjoy? Plan your time to enjoy now! At 5 minute walk you are at the castle in our street. Nobleman Mr Henry Sypesteyn rebuild the family castle around 1920 to the drawings of the castle that was there in the middle ages. It has an interior with lots of antique furniture and the unique Loosdrecht porcelain. 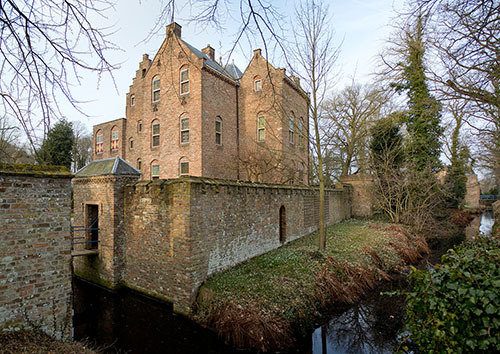 De Haar is one of the few castles in Europe that have the same ideal image of a medieval fortress with towers and ramparts, with canals, gates and drawbridges. The castle was entirely restored and partially rebuilt in the late 19th century and it rises like a fairy-tale castle from a park with impressive trees, surrounded by old gardens and ponds. 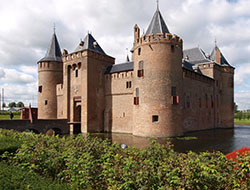 The Muiderslot was built around 1285 by Count Floris V, an ally of King Edward and later of the French Court. The tour through the Golden Age with the impressive Knight’s Hall, towers and dungeon, the film in the Castle Chapel and, last but not least, the Armoury with its stunning armour collection is a fantastic experience. 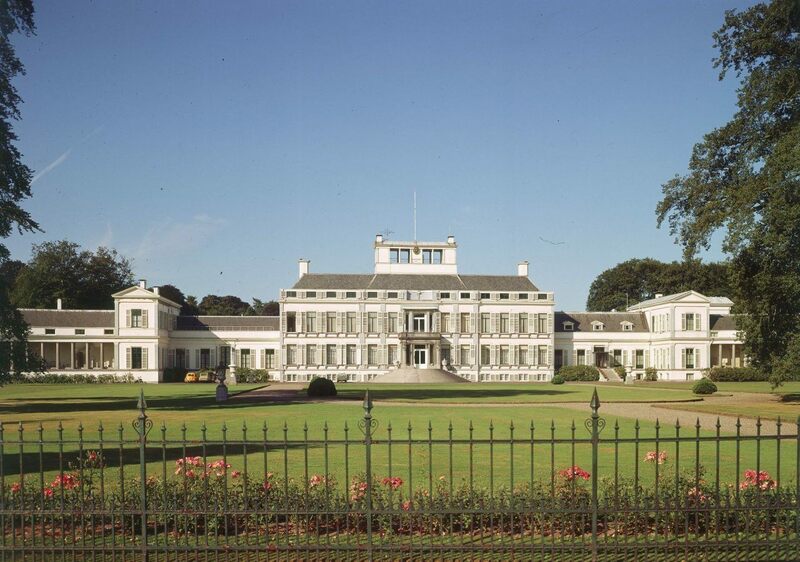 This used to be the royal palace when the current king's grandmother was the Dutch Queen Juliana. It was originally built as huntinghouse in 1650. Later is was extended in empirestyle with the sidewings. Interesting to see the combination of the formal palace for offical royal work on the left side, and the livingpalace for the family on the rightside. It is surrounded by a nice park in English landscape style. In the center of Amsterdam at the main square you find the magnificant palace "op de Dam". You are welcome to discover the rich history and interior of this magnificent building in the heart of Amsterdam. 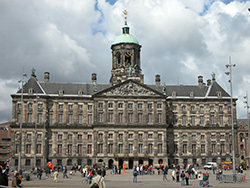 The Royal Palace Amsterdam is used by the Dutch Royal family. Most of the year the Palace is open for visitors. 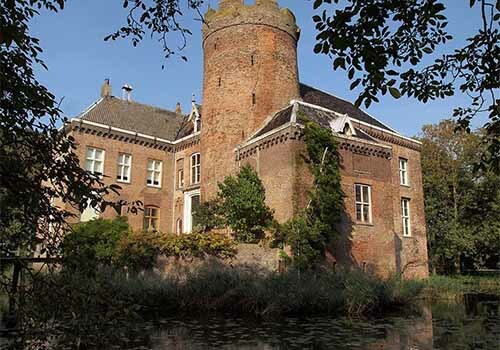 The best kept secret of western Holland: Loenersloot castle. The castle dominates the surroundings since 1250. It started with only tower, but a lot has been added to it. In 2012 the castle has been renovated and reopened for visitors. 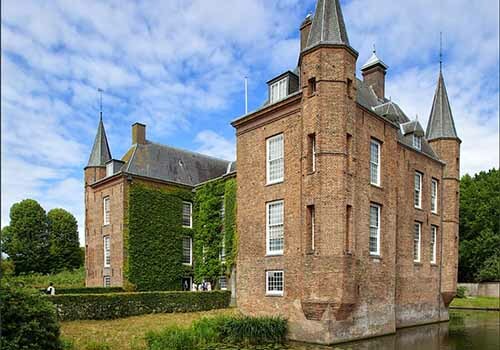 Slot Zuylen Castle is situated on the river Vecht in the tiny village of Oud-Zuilen near Utrecht, near HollandMenCamp. Whilst retaining many of its medieval castle-like features it was converted into a country mansion in the 18th century. Its most famous resident was Belle van Zuylen (Isabelle de Charrière), writer of fame and feminist avant la lettre. The past is recalled to life through guided tours, garden walks, concerts and special events. 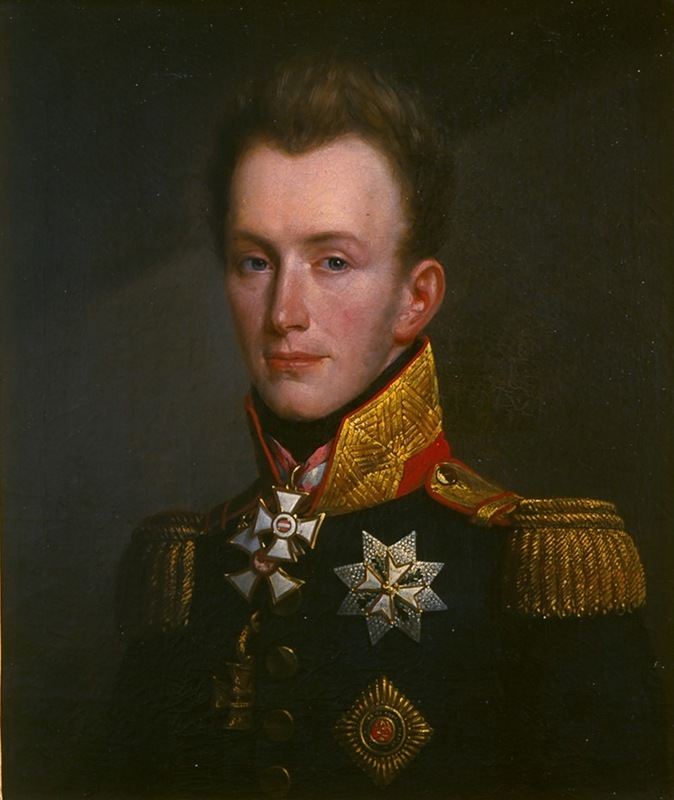 Huis Doorn verdankt seine Bekanntheit vor allem der Anwesenheit des Kaisers Wilhelm II. Wilhelm flüchtet nach der deutschen Niederlage im Ersten Weltkrieg in die neutralen Niederlande. Er wohnt auf dem Landgut in der Nähe von Utrecht von 1920 bis an sein Lebensende. Er umringte sich mit Objekten der Vergangenheit. The Rijksmuseum’s world-famous collection is being presented in an entirely new way. Visitors go on a journey through the ages and experience a sense of beauty and of time. In 80 galleries, 8,000 objects tell the story of 800 years of Dutch art and history, from the Middle Ages to Mondrian. 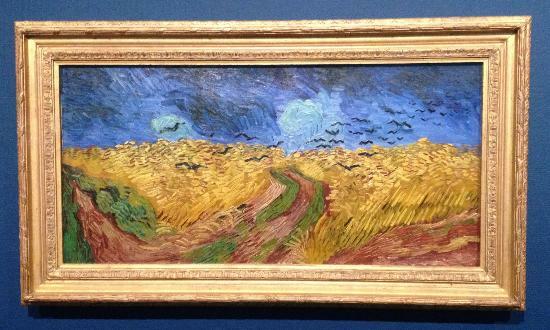 Step into Van Gogh's world. Discover the world’s largest collection of works by Vincent van Gogh at the Van Gogh Museum, featuring masterpieces such as Almond Blossom and The Bedroom. 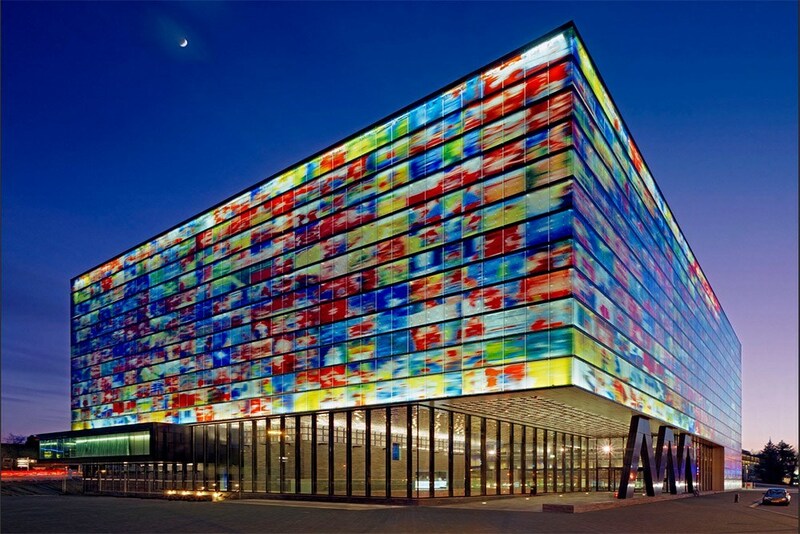 The Stedelijk Museum Amsterdam is an international museum dedicated to modern and contemporary art and design. The Museum aims to provide a home for art, artists and a broad range of publics, where artistic production is actively fostered, presented, protected, reconsidered and renewed. Anne Frank is a Jewish girl who has to go into hiding during World War Two to avoid the Nazis. Together with seven others she hides in the secret annex on the Prinsengracht 263 in Amsterdam. After almost 2 years in hiding they are discovered and deported to concentration camps. After her death Anne becomes world famous because of the diary she wrote while in hiding. 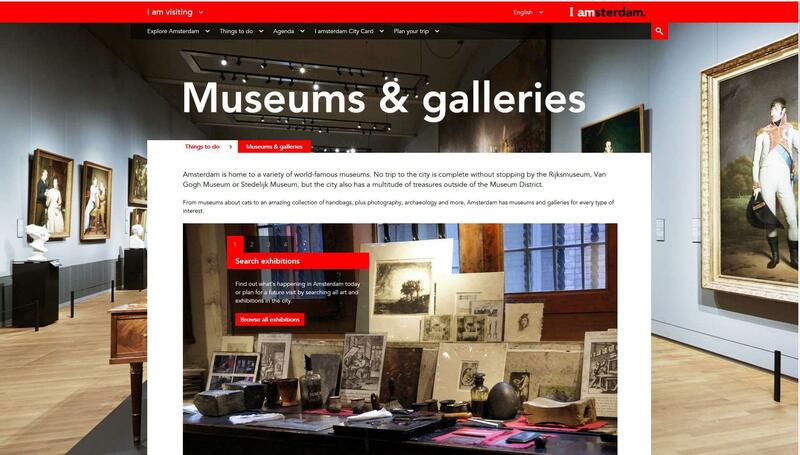 Amsterdam is home to over 50 museums, many of them of famous across the globe. The Railway museum is packed with adventure. Go down an old mine, take a ride in an exciting attraction, visit the Orient Express and the theatre, or simply enjoy the life-size historic trains and locomotives. 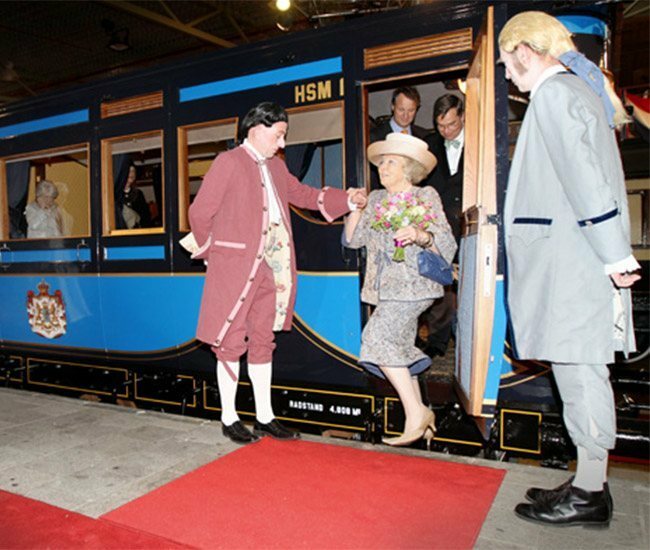 The Railway museum is an experience not to be missed! Frans Hals Museum is at home with the Golden Age. In the 17th century, Haarlem was a powerful and prosperous city and a centre of art and culture. The painters of the Golden Age concentrated on everyday subjects: landscapes, genre scenes, portraits, still lifes and city views. The National Military Museum is situated on the former air base at Soesterberg. 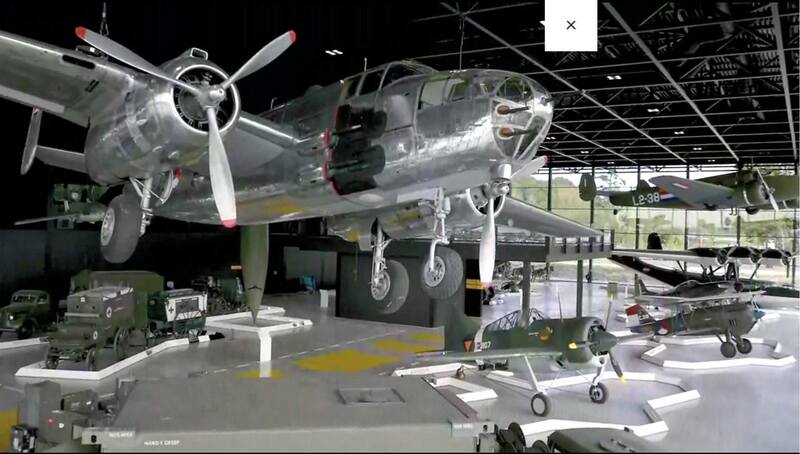 It combines the collections of the former Military Aviation Museum in Soesterberg and Army Museum in Delft. There are numerous pieces on display, including tanks, planes, armoured vehicles and helicopters. The Singer Memorial Foundation is a private institution, established in 1954 on the initiative of Mrs. Anna Spencer-Brugh, widow of the American painter William Henry Singer Jr. (1868--1943). 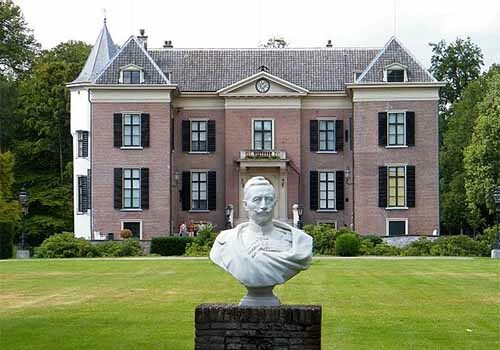 The foundation manages the Singers' legacy, which consists of a large collection of artworks, a museum, a theater and their former residence with garden, Villa De Wilde Zwanen. Singer Laren has expanded the original art collection and offers a varied and active program of temporary exhibitions. The Experience shows the wonderful world of television. Temporary exhibitions also take place here. Visitors can read the news, be a real star on stage or act in a soap opera. Dutch radio and television personalities virtually show the visitors around in the world of radio and TV. They get a glimpse behind the scenes and learn about life in the spotlights. Half of Holland is below sea level and would be flooded when there where no dikes. 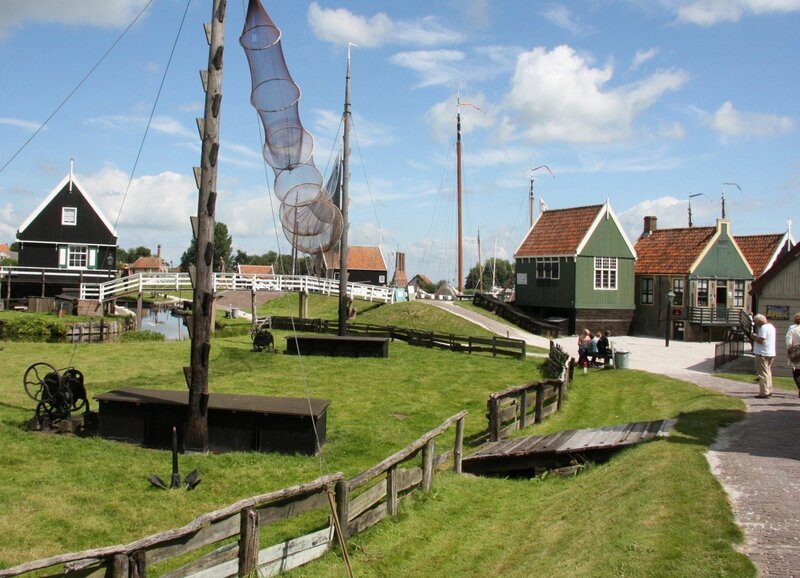 The Nieuw Land Museum presents the rich history of the biggest and lowest polder, the area we now call Flevoland. It is the largest land reclamation project ever: the Zuiderzee Project. The project originated on the drawing board of Cornelis Lely and was carried out by the polder workers. See how those Dutch people did that. Discover the archaeological treasures trove was unearthed when the Zuiderzee was reclaimed. 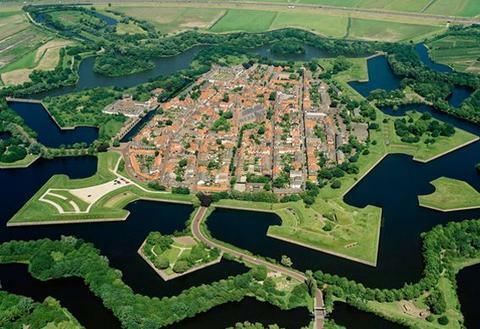 Naarden Vesting is an example of a Spanish star fort, complete with fortified walls and a moat. The Fortress Museum welcomes everyone who wants to see the underground casemates and learn more about the fortressed garrison town. As you stroll through Naarden you’ll find more historical buildings and monuments, such as the St. Vitus Church, a large gothic basilica from the 14th and 15th centuries. Amsterdam’s maritime success in the Golden Age not only led to urban expansion, but a boom in trade and architectural development. This was marked by the building of the city’s remarkable canal-side estates in the 17th and 18th centuries – most of which are still standing today. 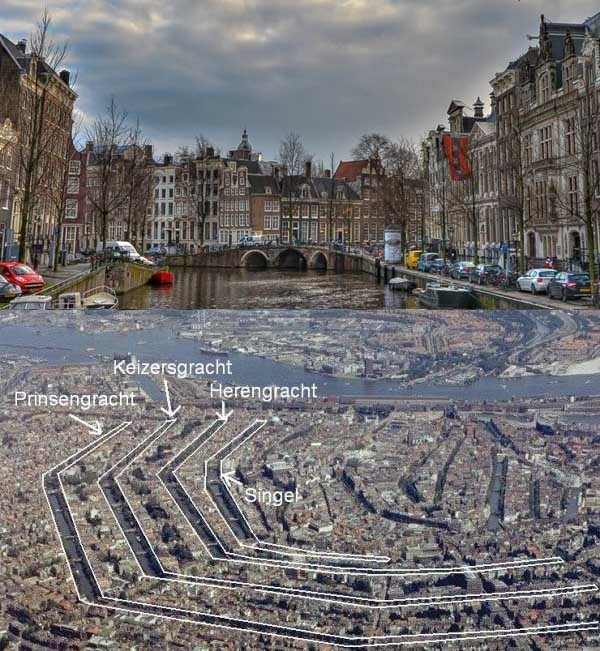 The most famous trademarks of this new canal belt became the concentric loop of the Prinsengracht, Keizersgracht, Herengracht and Singel canals. Since 1999, the city’s distinctive canal landscape has officially been protected, and in 2010 the Amsterdam Canal Ring was added to UNESCO’s World Heritage List. In 2013, the Canal Ring also celebrated its 400th birthday. 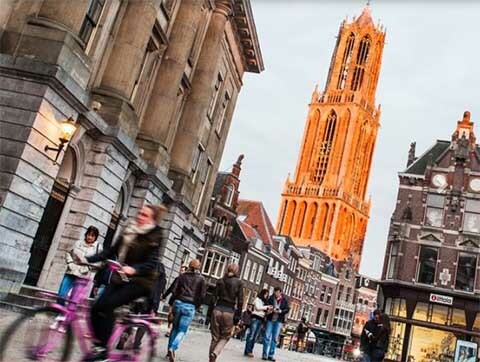 Utrecht's cosy centre is like an open-air museum, and nearly every brick has a story to tell. The history of the city dates back to Roman times. But the Middle Ages also left their traces on the city. And you can see them everywhere. You're standing here on top of the border of the Roman Empire. And the countless houses, churches, monuments - and the characteristic wharves, of course - commemorate that rich history. Havenbuurt and Kerkbuurt are the two main parts of Marken village. The Havenbuurt is nice and picturesque. The most beautiful part of Marken village is the church quarter. Located on a little hill around the village's church, its charms are easily seen when you get there. The narrow alleys, the old wooden dwellings with their green and white paint, the labyrinth of passageways and the occasional glimpse of "real" life makes Kerkbuurt a wonderful place to be. 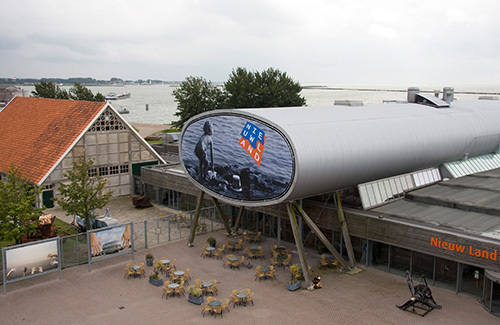 The Zuiderzee Museum in Enkhuizen revives the stories of people who once lived on the shores of the Zuiderzee. See, hear, taste and smell everyday life around the Zuiderzee as it was before the Afsluitdijk (IJsselmeer Barrier Dam) changed the sea into the IJsselmeer in 1932. The Zuiderzee Museum is oriented toward the history, the current situation and the future of this area. It focuses upon the themes of water, crafts and communities. Holland Men Camp is for every man to enjoy life now. A full service campground with the top services Rent a Tent. © Copyright 2015 by Holland Men Camp. All Rights Reserved.